Latest cyberattack orchestrated by the CTA? What he posits makes perfect sense to me. Who else would have the CTA's ENTIRE mailing list? (and wow, is the CTA security so awful that it was THAT easily accessible...unless someone willingly gave it up?) Who else would benefit from this cyberattack? How can anyone actually believe that China would produce such a lousy, easily detectable cyberattack? And even if China did do this, who is anyone to criticize them for engaging in espionage? The CTA is well known to spy on people...yes, I'm referring to Tenzin Peljor the 'monk' who was sued by Diamond Way? Russia spies on the US. The Americans have the CIA. The British have MI6. To me, this episode stinks of a failed attempt by recently-resigned Dhardon, her final swing at China if you will. Pity it was so poorly executed that everyone can see right through it! Re: Latest cyberattack orchestrated by the CTA? It is obviously the work of an amateur hacker who did all these sloppy attacks. It is not logical to say that attacks are from China because China has proven themselves to be much better than this and if they are the one who launched the attack, the damage will be much more severe than this and most probably CTA will not have a clue of what hit them. On the other hand, what aboutthetruth said is very true that who will have the entire CTA's mailing list to send the virus to? It is highly suspicious that it is an insider job or CTA orchestrated the whole incident and tried to blame it on China. The hacker even left their identity to be found and it is just unbelievable that China's standard will be this low. 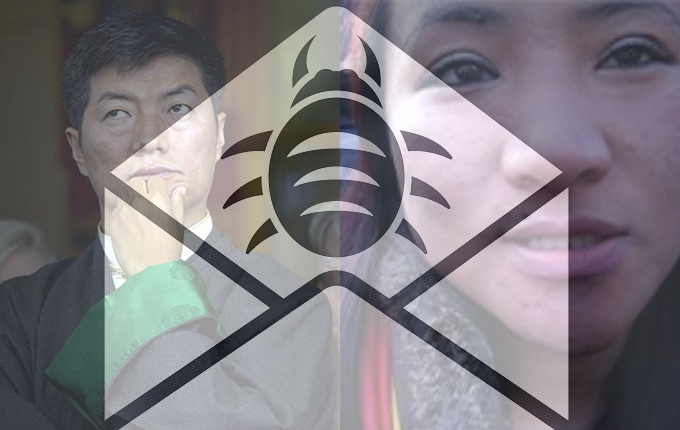 It is very clear to everyone that this amateurish cyber attack is just one of Tibetan leadership's tricks to put more blames on China but they are too lazy to think ahead and came up with such a bad design plan that can be seen through easily. Tibetan leadership should stop their effort to make China look bad now because no matter what they do, they will never win China.